SMA female to Fakra female Waterblue Code Z Antenna Adaptor. Converts an SMA Male to FAKRA female. 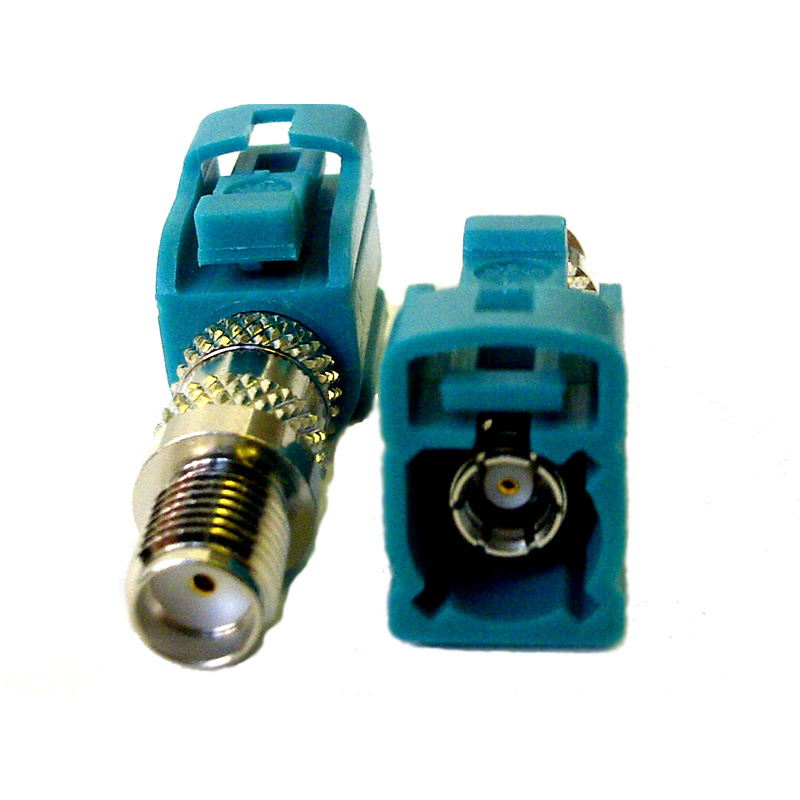 FAKRA Female Code Z Waterblue-SMA female Antenna Adaptor. FAKRA Code Z Waterblue neutral code can be used for most automotive applications including: DAB Radio, WiFi, Telematics, Navigation, Mobile Data. This adaptor allows you to quickly convert an SMA male connector which is common on most antennas for Mobile Communications applications to a FAKRA female without re-crimping, you simply screw the adaptor onto the existing SMA male connector. The waterblue code Z FAKRA is universal and can be used for most applications but is particularly common on DAB radio and In-Car WiFi applications.